but on a complex environment you might consider the use of the GPO tool by creating a dedicated gpo for it. Navigate to Computer Configuration, Policies, Administrative Templates, Network, Network Connections, Windows Firewall, Domain Profile. 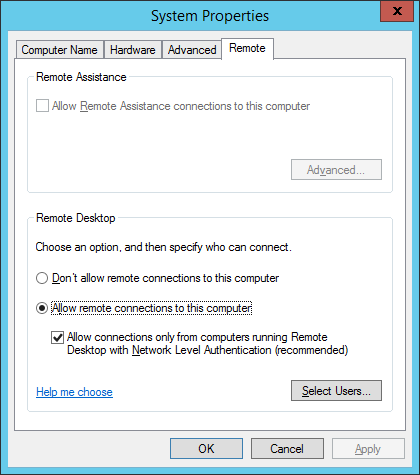 Double-click Windows Firewall: Allow inbound Remote Desktop exception. Note ! in order to query servers on your network with WMI ,you must enable it via firewall/gpo. if the status of the value “AllowTSConnections” is 0 ,then the RDP feature is disabled. $read =Read-Host "Enable RDP ? 'Please Enter Enable"
Write-Host "$Computer : Enabled RDP Successfully"
"$Computer : RDP Enabled Successfully"
Write-Host "$Computer : Failed to enabled RDP"
"$Computer : Failed to enable RDP"
Hi, thank you for this great article! and $RDPStatus.SessionBrokerDrainMode = 0 ? 2. when i change drain mode using wmi – it does not reflect in the server manager… do you have this issue as well?